If you are planning to get your permit or license this summer you must have all your seat time made up by May 15. 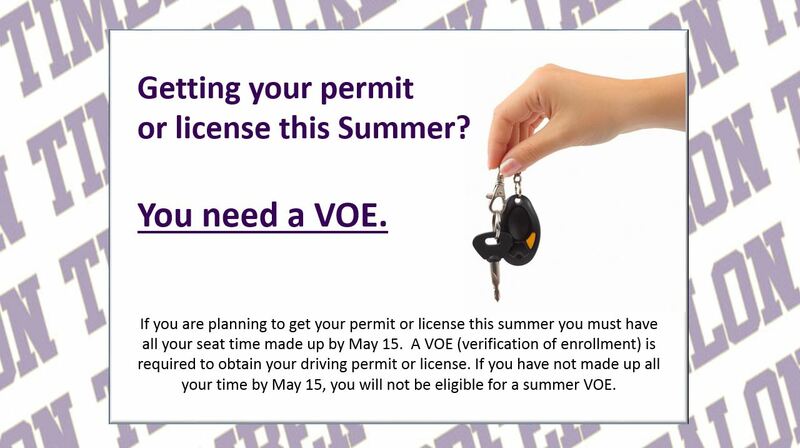 A VOE (verification of enrollment) is required to obtain your driving permit or license. If you have not made up all your time by May 15, you will not be eligible for a summer VOE. Next Next post: SPOILER ALERT: April 22 TCTV Announcements Give Away the Ending!